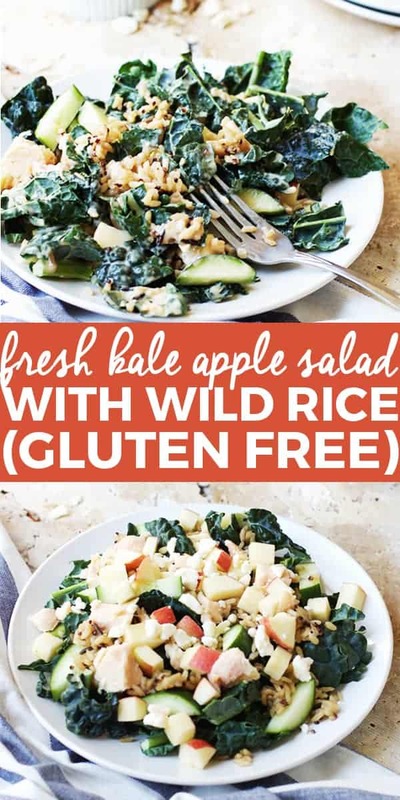 All kale this amazingly delicious and fresh kale apple salad with wild rice! 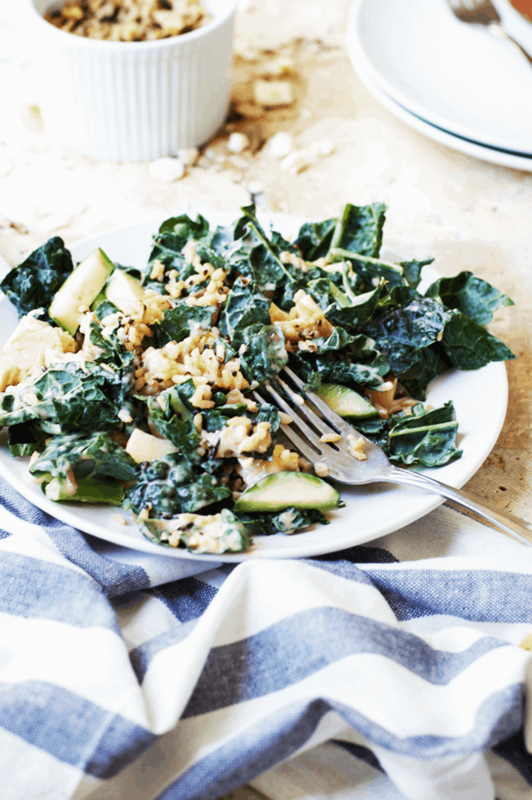 A good salad is worth bowing down to, after all, and this one is the ruler of them all because it is healthy and takes only 10 minutes to make! Beginning to end. Honest promise, cross my heart. The apples, of course! They give it the perfect flavor balance of sweet and tangy. Raise your hand if you’re anxiously counting down the days to go apple picking. All the orchards are at least an hour away from us, so we make a day trip out to the country. I’m always wanting to wear scarves and boots for the grand event, but unfortunately it is always hot. We would melt into juicy puddles of apple cider if we bundled up, and I’ve wisened up in my mothering ways. Also, DO NOT wear white to go pick apples with your children. Why I thought it was a good idea with a toddler and a baby still perplexes me. Photo opp? The white looked good contrasted against the red and green trees? No, Abbey. Just NO. What the pictures really ended up showcasing were all the dirt and drool that inevitably landed on everyone’s shirts—yours truly included. 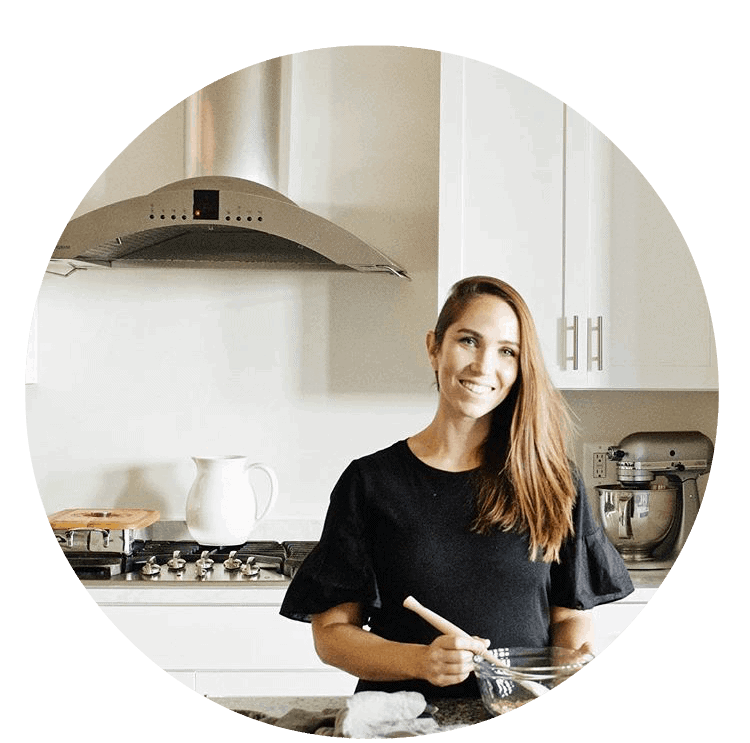 It’s a quick and tasty salad you can make for lunch or a light dinner for yourself, or your family. Grab the recipe below and enjoy! 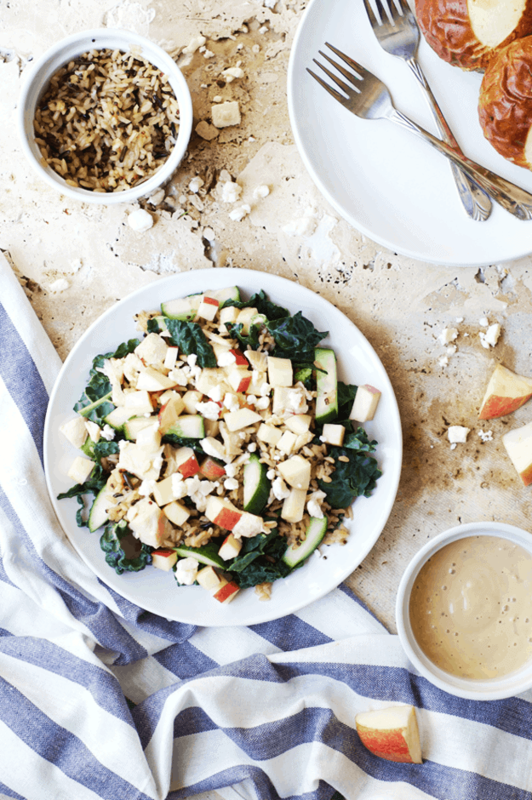 This fresh kale apple salad with wild rice is healthy and full of antioxidants. 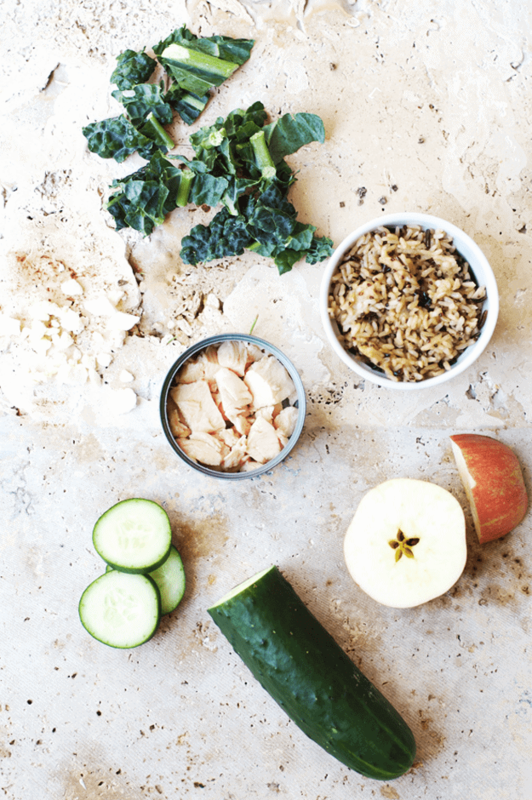 Perfect light lunch or dinner. Chop all the produce and place in a bowl. 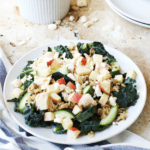 Mix the kale, chicken breast, rice, cucumbers, apples, and feta together. Add in the dressing, and mix well. Serve immediately with a favorite roll or bread on the side, if desired. Enjoy!